Looking for a Residential Lot for Sale in Bacolod City? Posted on March 4, 2013	by . If you are planning to buy a lot for sale in Bacolod City, you may want to look into properties at the latest residential development in the heart of the city — Centrale Bacolod. Active Group has acquired 50 hectares in the middle of the metropolis next to St. Scholastica’s Academy on La Salle Avenue in Barangay Eroreco. Lot sizes range between 300 to 900 square meters. Prices are pegged at P6,500 to about P7,000 per square meter depending on the specific location within the subdivision. There are still a few prime lots left since the launch in late January 2013, so now is the right time to reserve your lot. This gated community features all the modern amenities of newer Negros real estate developments that include social hubs within the subdivision, swimming pools, and playgrounds for the exclusive use of Centrale Bacolod residents. To talk to a licensed Centrale accredited broker for a site visit or price computation, please call 0917-304-0575 or email bacolodcentrale@gmail.com. Enjoy the video below! 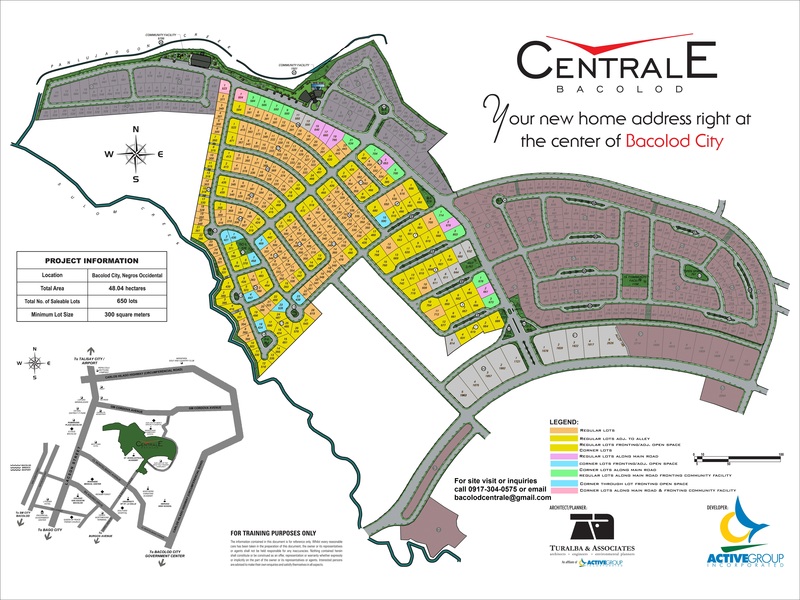 This entry was posted in Centrale Bacolod, Negros Real Estate, Video and tagged Bacolod Centrale lot prices, Centrale Bacolod, Centrale Bacolod Video, centrale lots for sale bacolod, Lots for sale Bacolod, Negros Real Estate, Video. Bookmark the permalink. 3 Responses to Looking for a Residential Lot for Sale in Bacolod City?